We’ve made it to midweek! Joining us for the first time? This is my weekly Wednesday blog where I try and give quick, easy-to-do hints on how to maximize your fun / relaxation time on the weekends, instead of Saturday and Sunday becoming your “work at home” days. HHH#1 Are things piling up on your home office desk? Grab that pile – sort, toss, file – you can do this during the commercials of a show you watch at night. HHH#2 Reorganize where you keep your shoes. Boots away – flip-flops out! Too much wear and tear on last year’s flips? Toss them – you know Old Navy will be selling every color for only $5. 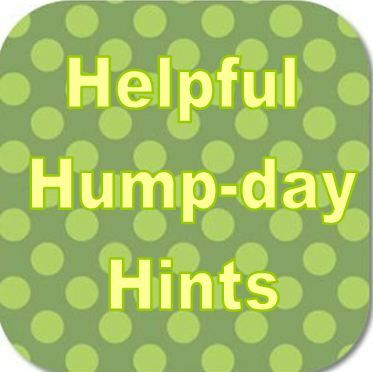 HHH#3 On the way home from work, stop at the drugstore (or any store on your weekend errands list) to eliminate one store you will have to go to on a crowded weekend. Don’t forget to make a list and bring it with you – there is no need to make unnecessary purchases! Did you do any small jobs today that allowed you to cross off something on your weekend to-do list? Make a comment and let me know. Also – don’t forget to give yourself a little reward for getting a jump start on your chores. 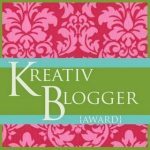 Thank you so much to The Easy-Going Organizer, a fellow mom just trying to keep it all organized, for nominating My Color Coded Life for the Kreativ Blogger Award. More on what this is and those who I will pay it forward to and nominate myself tonight.